Let's talk about breakfast, shall we? I love breakfast and think it's a very important meal, but it's hard to find the time to make and eat breakfast. Especially since having kids and going back to work, my mornings are an absolute rush. Breakfast burritos are the perfect solution! 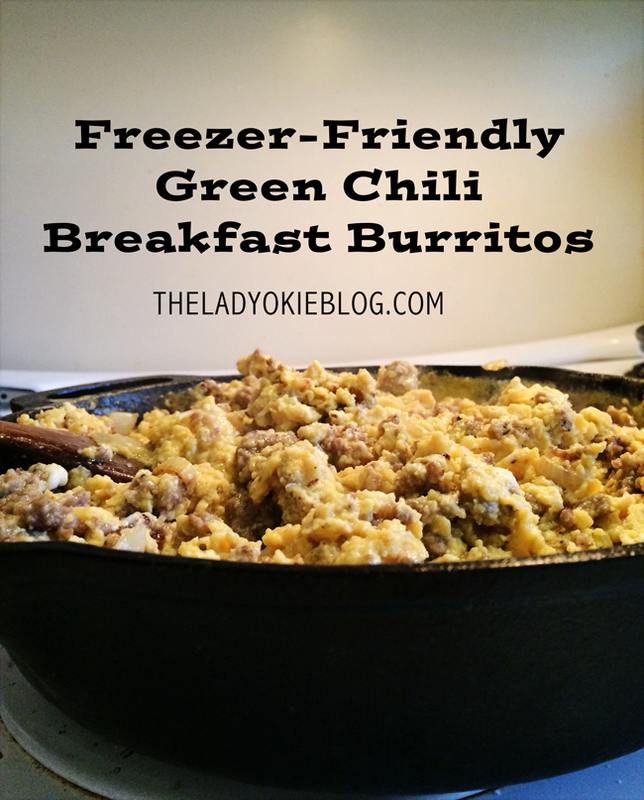 My friend introduced me to the concept of freezer-friendly breakfast burritos years ago, so I realize it's not a new thing. It used to take me a solid two hours or more to make a batch, and over time I've gotten quicker and the burritos have gotten more and more delicious. Adding a small can of green chilis really adds an extra layer of delicious flavor that Jordan and I both love. I can now make an entire batch of about 20 burritos in 1 hour start to finish. They are made from fresh potatoes with real ingredients and require no peeling, shredding, or dicing. They are never frozen, so you will find them at the store in the refrigerated section, not the frozen section. At our Walmart, they were located on the top shelf above the eggs. If I were you, I'd go here and make sure you know what the different packaging looks like so you can easily find it! You can make a batch of breakfast burritos and eat them that day, but they also freeze very well for later! Then, just grab one out of the freezer and heat in the microwave for 2 minutes. 1. Get the potatoes cooking in one pan with vegetable oil while you cook the rest of the ingredients. They will be done at the same time, so all you need to do is assemble the burritos and either eat now or freezer and enjoy later. 2. Brown the sausage in a large skillet. 3. While the sausage is browning, prepare the eggs. Whisk together 1 dozen eggs with the milk and some salt and pepper. 4. When the sausage is brown, pour the eggs into the same pan. This step is key to efficiency. 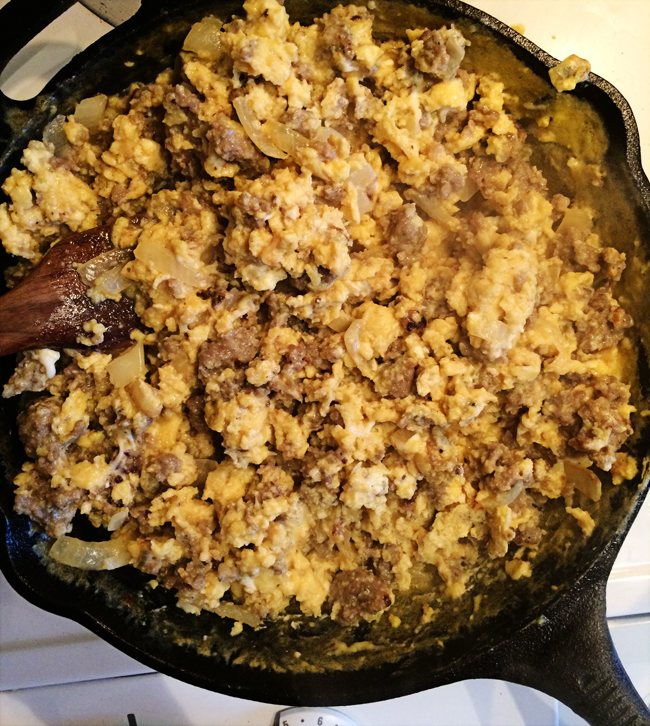 You are going to make scrambled eggs that mix with the sausage so you don't have to worry about cleaning another pan. Occasionally stir the eggs until they are fully scrambled. 5. Add the green chilis. 6. Top with shredded cheddar cheese. 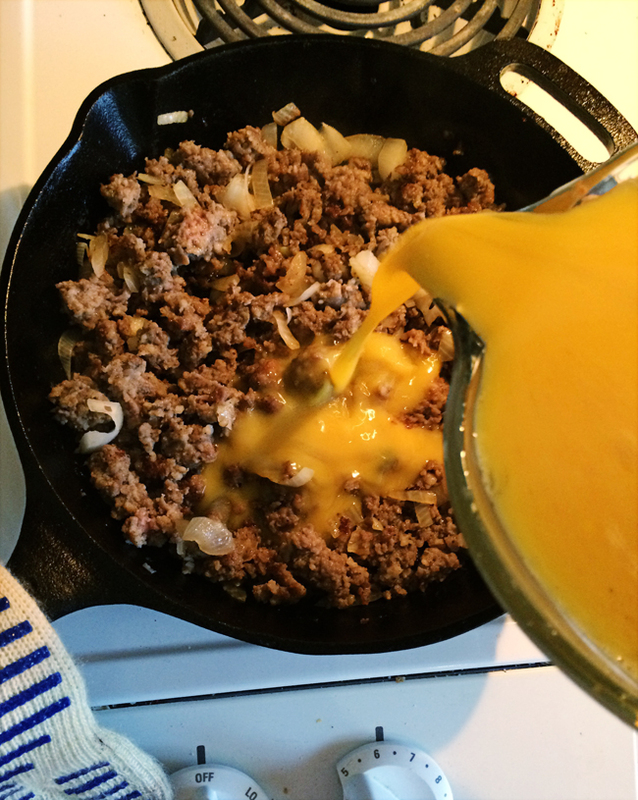 You can use pre-shredded cheese, but it tastes the best when you use a block of cheese and shred that fresh over the skillet mixture. 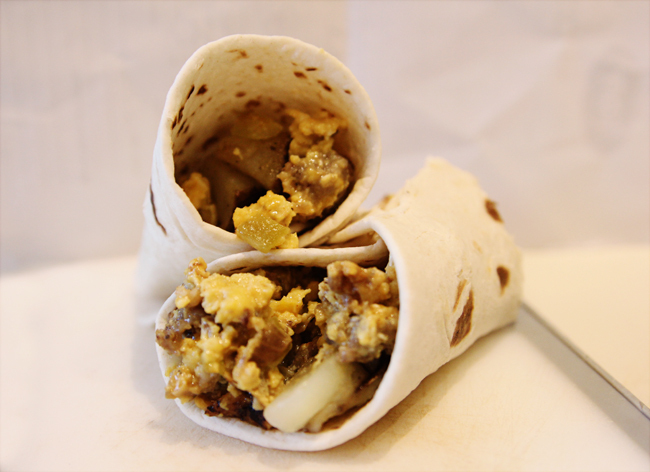 *If you are eating right away, just put some potatoes and the egg/sausage mixture in a tortilla and eat. If you are freezing for later, assemble the burrito like normal, then wrap in a paper towel and wrap again in a piece of aluminum foil. Place as many burritos as can fit in a large freezer bag. Repeat until everything is gone! 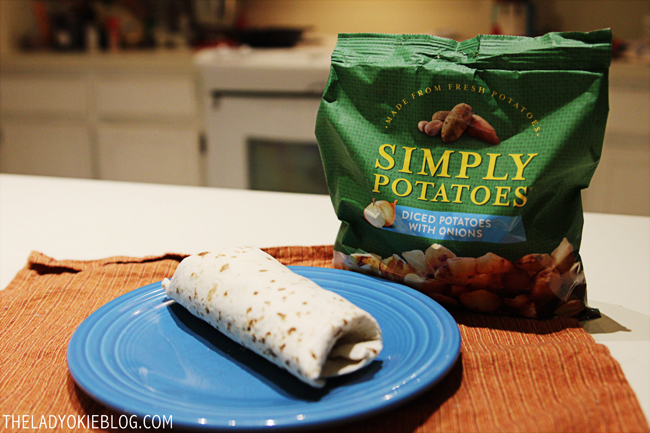 Simply Potatoes really did make our breakfast burrito process so much easier and so tasty! I had never heard of them before and am excited to continue using them when I want simple, easy, fresh potatoes. Check out their website for recipes and more products. Now for a giveaway! 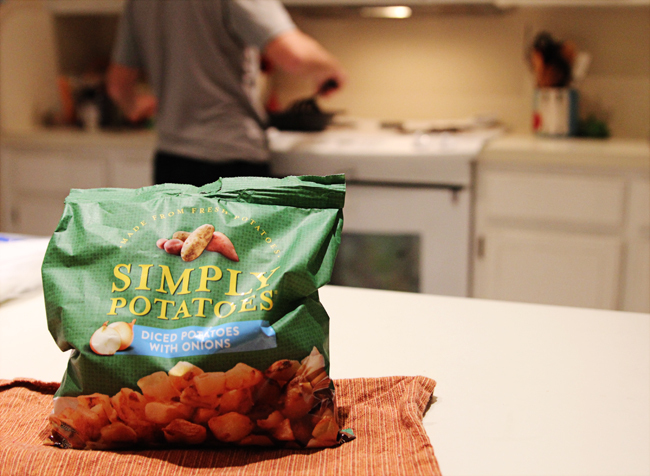 Head to Simply Potatoes and check out their products. Then leave a comment and let me know what potato dish you would make and what type of potato you would use. I will choose one winner to receive three coupons for free product! Freezer meals are the best for busy nights or mornings. The Mexican Potato Sausage Casserole recipe looks amazing! I may have to make that this weekend and I could see it working for breakfast or dinner too. Southwest style hashbrowns would be perfect for it. Yes to all the breakfast burritos! I'm a big fan of simple potato hash, and Simply Potatoes would make that a snap! I’d like one of those burritos this morning please. I’m really intrigued by this brand and will look for them at my store. 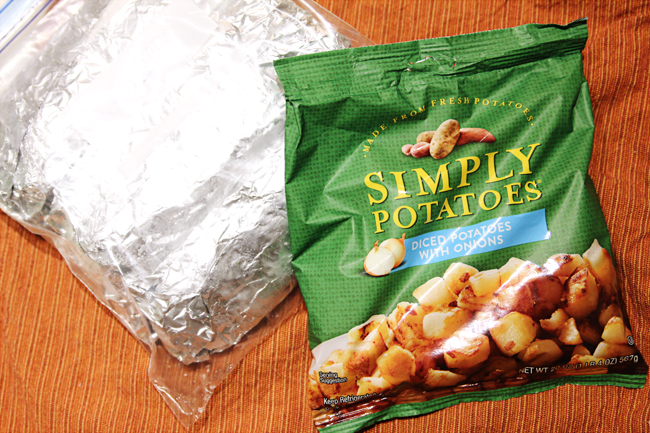 I am super picky about my potatoes and always cut my own for my burritos, but this would save so much time. I have a meal that uses potatoes on the meal plan for next week, so I’ll test these out if I can find them in my grocery store. Man, that all looks delicious! I should NOT have read this after skipping breakfast. This sounds like something we'd make and eat in our house! These sound so delicious!! I need some new breakfast ideas, so I will be saving this for sure. Yum! Those burritos look delicious. I'd also like to make the Cheesy Hash Brown Cups using the Simply Potatoes hash browns. They have a seasoned steakhouse diced potato that would be great in a potato salad. We don't eat potato salad much this time of year, but come summer time it is a regular on the menu at our home. I would make these breakfast burritos! Great idea. I would make quick and easy sweet potato pie using the diced sweet potatoes. Breakfast burritos are really good! I made a big batch but I didn't love them after I froze them and I'm not sure why either. I should try again sometime. Their website has lots of good potato recipes but the buffalo chicken one is making my mouth water. It looks really good! AND I have no idea they had fresh potatoes to buy that are precut. I would like to make the Cheesy Hash Brown Cups.